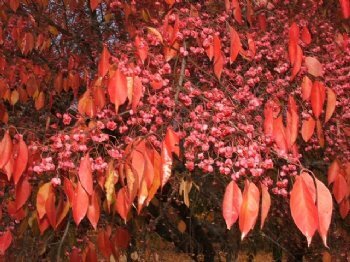 Winterberry Euonymus - Form is a mid to tall sized, multi-stemmed shrub or small tree reaching 8 to 15 feet in height and spread. 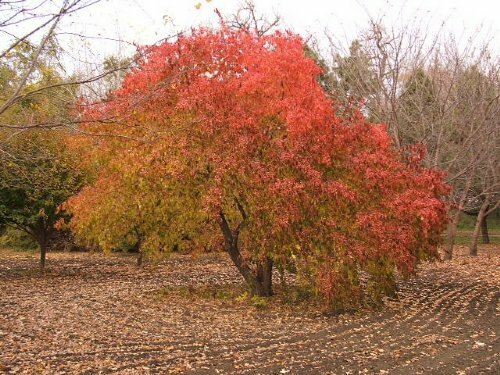 The green foliage turns varying colors in the fall ranging from yellow to orange to red. A heavy display of pink fruit capsules with showy fleshy seeds persist into the winter months. This northern Asian species is high soil pH tolerant and has tolerated dry soil conditions in western North Dakota. Needs 2 plants for pollination.